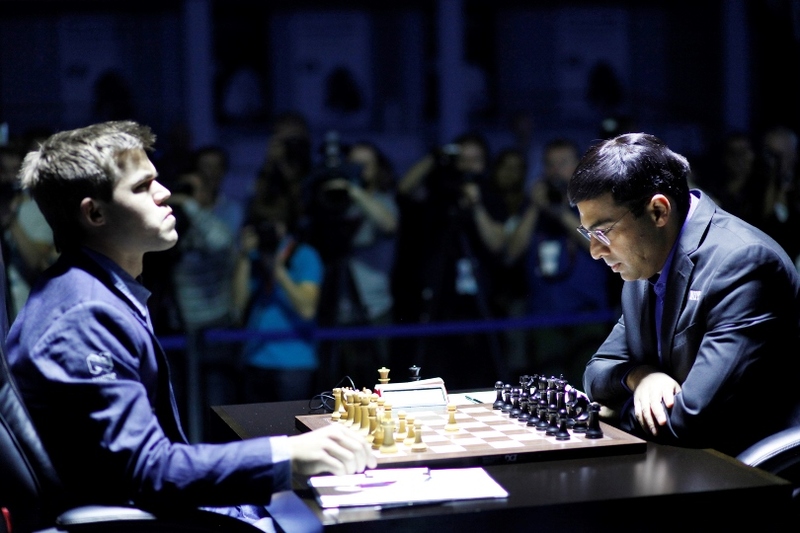 Magnus Carlsen has beaten Viswanathan Anand in Game 2 of the 2014 World Championship match in Sochi. In a 20-minute recap of the action IM Lawrence Trent calls the game a “masterpiece”, and GM Stuart Conquest joins him in admiration of an awesome display of “power chess” from the young Norwegian. The game may have ended with a “howler” from Anand, but our commentators agree that even the best can blunder when put under such immense pressure. You can find far more videos on our YouTube channel. Be among the first to see new content by subscribing – simply click the button below! Magnus Carlsen now leads the 12-game match 1.5:0.5. Game 3 will be live on chess24 on Tuesday 11th November at 13:00 CET.